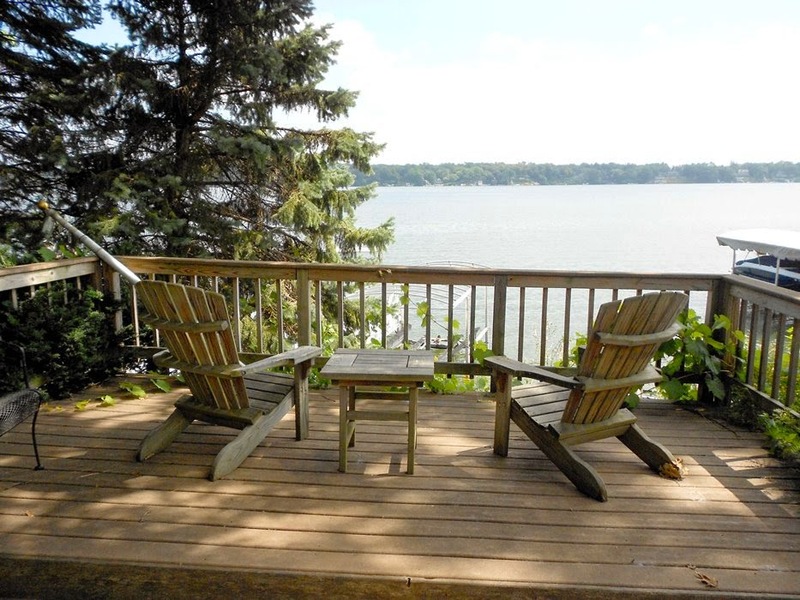 With most Delavan Lakefront Properties hovering around $900,000, it is refreshing to see a newer three-bedroom come on the market for only $799,000. Located at 1522 Hiawatha Drive, this affordable two-story was built for lake enthusiasts with frontage on a small bay off the north shore. The home was rebuilt in 2003 and constructed to maximize views from the great room and sun room. The master loft has an open concept design with a private bath and seating area that overlooks the water. On the main level is a great room with cathedral ceiling, natural fireplace and walk out to large waterfront deck. 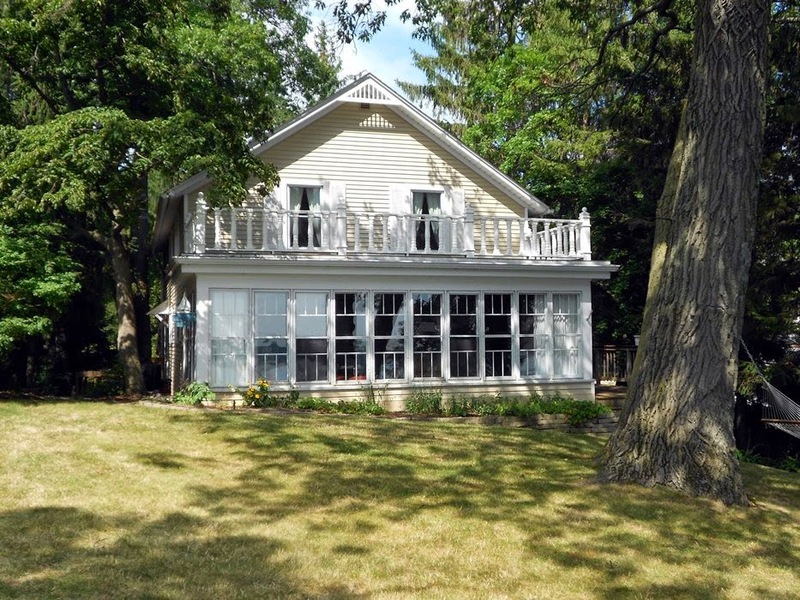 The sun room is adjacent to the deck as well for easy entertaining and lake enjoyment. The property also includes a full basement with egress window, plumbing for a third bath and possible second fireplace. 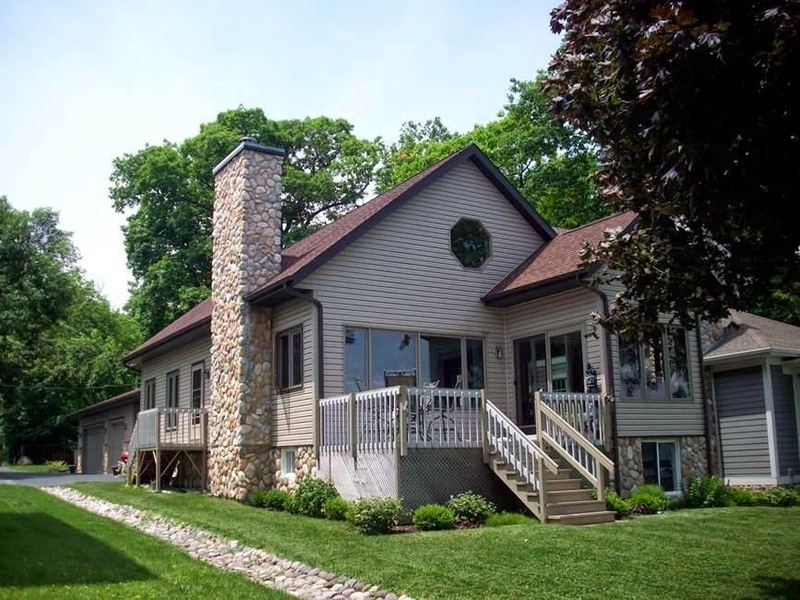 Ready to move in and enjoy the lake this year, this home has all the elements in place for immediate summer satisfaction. Delavan LakeFest was a success once again this year with four bands on Saturday, June 7 and two more on Sunday June 8. Saturday's line up featured local talent including folk rock artist Simple to kick off the activity and blues legend Glenn Davis to finish off the day. Fishing for the kids was active both days with most of the participants catching pan fish varieties and all walking away with a free tote bag and tackle box. Sponsors this year included: Reeds Marine, Mercy Health, Shodeen, Town of Delavan, Town of Delavan Friends of the Parks, Delavan Lake Improvement Association, DelavanLakeProperty.com, and Miller Lite CJW Distributors. Next year's event will be the first weekend in June with more music, fishing and family fun. Whether you are looking for a newly remodeled lakefront or a lakefront with the nostalgia of yesteryear, the home at 2524 North Shore Drive has both for the lake home buyer. Perched on 80 feet of prime frontage, this home features a newly remodeled kitchen and master suite yet has kept the charm of the lakefront great room with leaded glass windows and pine ceilings and walls. Comfort abounds in this lakefront property with overstuffed chairs, multiple decks and a waterfront terrace with expansive lake views. There are three large bedrooms, in addition to the spacious master suite and lake views from nearly every room in the house. Priced at only $859,000 the property also includes an over-sized pier, two car garage and family room with wood burning stove.